~ In a small saucepan, bring your water to boil and pour in your uncooked mini Sago Pearls, simmer for 10 minutes. Once the Sago Pearls are cooked, pour the contents of the saucepan through a sieve to strain out the hot water. Place your sieve under your kitchen tap to lightly rinse the Sago Pearls with cold water then completely drain and let it cool off. ~ Cook your Pandan Gulaman/Jelly as instructed in the packet directions, let it cool/set completely before cutting the jelly into bite size cubes. ~ In a big mixing bowl, place your Buko (shredded young coconut) and cooked mini Sago Pearls then add in your thickened cream. ~ Pour in your condensed milk and Pandan essence. Combine the mixture well by stirring it with a ladle a few times to make sure that the Pandan essence is well dispersed. Into the bowl your cubed Pandan Gulaman/Jelly goes. ~ Stir your Buko Pandan Salad a couple of times to gently combine your Pandan Gulaman/Jelly. Cover the bowl with a lid/clingwrap and refrigerate overnight. Please serve this dessert chilled. I listed the Pandan essence as 1-2 tspn as different brand of essence have varying strength. My advice is place 1 tspn first, give the mixture a good stirring, taste and see if you need that additional second tspn. I’ve used frozen shredded Buko for this recipe ~1x pkt (454g), once the packet has been defrosted, drain out the liquid. Pandan Gulaman/Jelly, mini Sago Pearls & frozen Buko are readily available in any Filipino Grocery Stores near you, give them a call first to make sure they stock these products. Shredded Buko (Young Coconut Meat) is totally different from Shredded Niyog/Coconut (Matured Coconut Meat). Look so yummy! Nagutom ako. Will try this on Christmas Eve. Thank you! this is my all-time favorite dessert! looks so yummy!!! may i know kung good for how many yung recipe? @Anonymous~ the recipe will be good for 4-6 people depending on the size of the individual serving containers. Sarap! I will be making this one on the weekend. Salamat po. hello Cusinera ano po brand ng sago, sa asian shops niyo din po ba binili or sa wollies/coles meron?? If you're based in Brisbane, I buy my Pandan Gulaman at Best Friends in Fortitude Valley. Ang sarap nito... malapit na ang summer d2 samin, ma-try nga to :) Thank you sa sa pagpost nitong recipe Cucinera. Hey where can we get a thickened cream ? 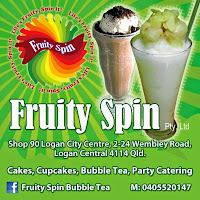 Am based in Brisbane, Australia. "Thickened Cream" is the same as "Heavy Cream" in US.